What’s in a name? Apparently nothing, because Jerusalem artichokes have absolutely nothing to do with the Holy Land, nor do they resemble or belong to the artichoke family. But aside from those minor details, it surely is deserving of such a majestic label. Actually, they’re also known as sunchokes, which I prefer, primarily because… SUN-choke or Jer-OO-sa-lem AR-ti-choke… that’s two syllables vs. seven, and for those who’ve met me in person, you know I like to keep my syllables to a minimum. 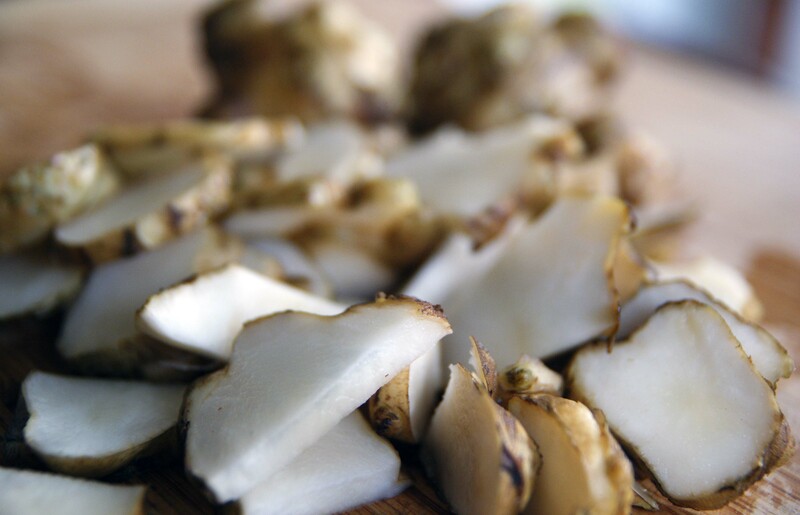 That, and sunchokes are actually a member of the sunflower family, native to eastern North America. So of course, when I first learned about them, I was thinking “Sweet – native, perennial, edible, low-maintenance. Let’s get some of these suckers in the ground.” And so we did. There’s a mushroom guy at the market who also sells sunchokes in the fall and spring, so I picked up about 10 little ones from him earlier this year, then C and I found a little spot (should be fairly sunny) on the edge of the backyard and stuck ’em under some dirt. After a couple weeks, they started to peek out. By the time the season was over, most of them were a good eight feet tall. 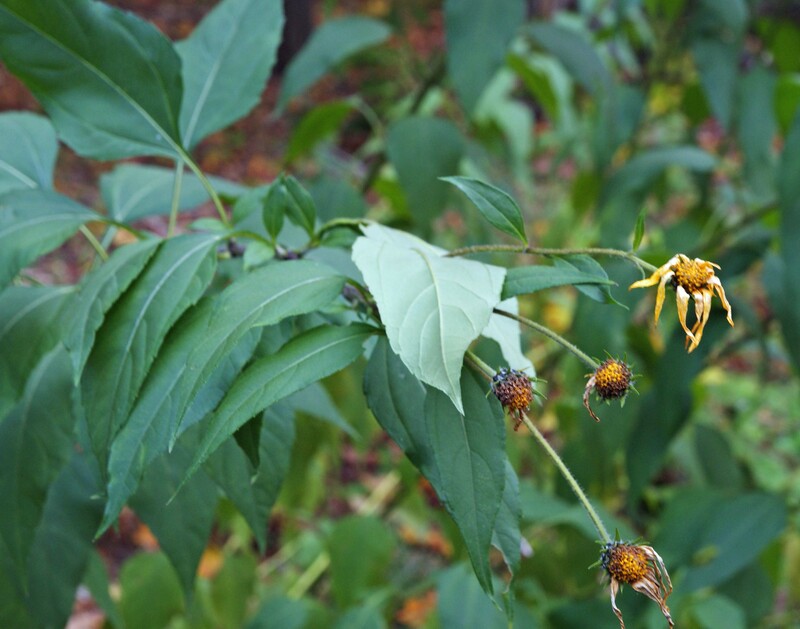 The plants do indeed resemble sunflowers – the leaves are similar, as are the flowers, just in a miniaturized package. 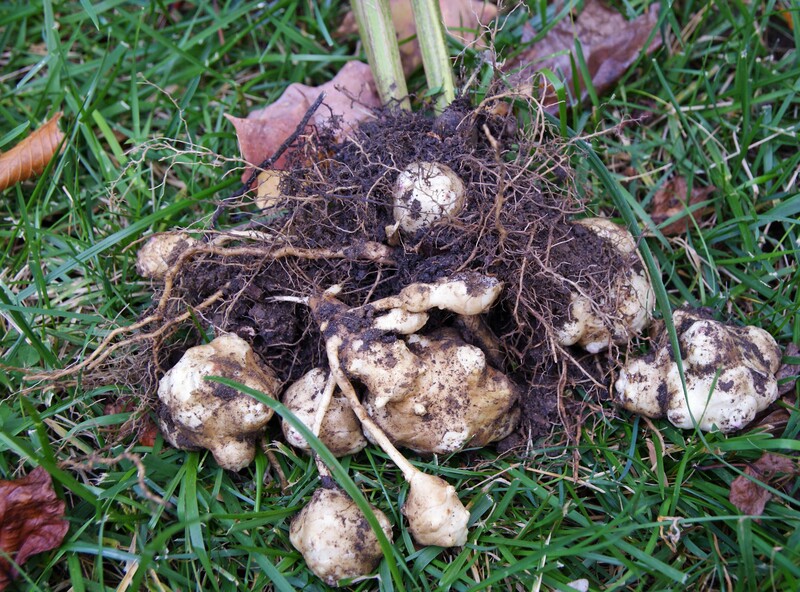 When you pull them out of the ground, there’s a big clump of bulby-looking tubers attached (a good garden fork will make the harvest process a lot easier). Kinda like digging up potatoes. I probably ended up with a solid 12-15 pounds – not bad production from 10 golf ball-sized bulbs. 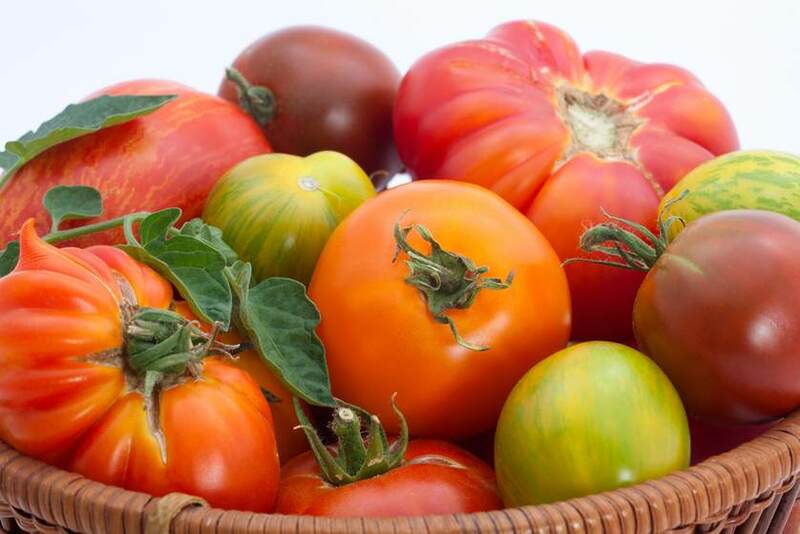 When you harvest, make sure to leave some in the ground, and when the ground starts warming up next spring, they’ll start to grow again. And just like that, we should have a lifetime supply of sunchokes. I wonder if chickens will eat them. As far as eating goes, they’re sort of a cross between a potato and water chestnut. They’re not as starchy and crumbly as a potato, and they keep a bit of crunch when cooked, though not as much as a water chestnut. Use them in a hash or a mash or layer them in with scalloped potatoes. We used them as sort of a water chestnut substitute in a stir-fry. They’re nutty and surprisingly sweet, and supposedly get sweeter in cold storage. As far as that storage goes, they don’t keep like potatoes, but I have them in a box of sand in the (unheated) garage, so we’ll see what happens. Nutritionally, they’re high in potassium, iron, and other trace elements, and contain a lot of inulin (often used as a dietary fiber supplement in processed foods). They’re highly recommended for diabetics because they won’t spike blood sugar like potatoes will. If you have a spot of yard, plant a few and see if you like them!